Ever wanted to wear the lyrics to your favorite song around your wrist? Now, you can! LyRokz has made the current wristband craze even more fashionable by putting the lyrics of your favorite songs by your favorite artists in colorful fonts and prints on wristbands. Features designs include "Overdosed on Confidence" said by Drake in "Headlines," "Pledge Allegiance to the Swag" said by T.I. and Rick Ross in "Pledge Allegiance to the Swag," and "I'm No Beauty Queen, I'm Just Beautiful Me" said by Selena Gomez in "Who Says." 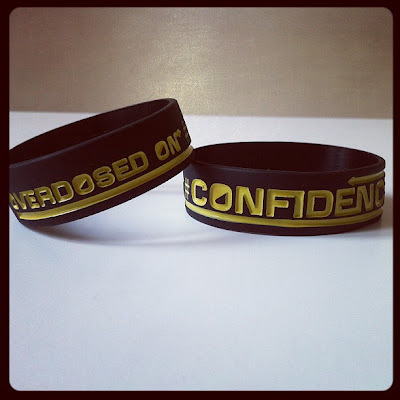 The wristbands are $5.99 and ship within 24-48 hours. To get yours, please visit LyRokz.com.